People on Instagram are already gushing over the picture and some have even commented that AbRam has set up the mood for the new season of IPL. Check out the picture. 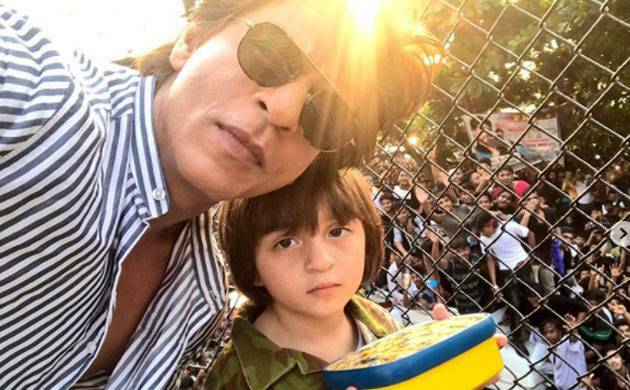 There’s no doubt that Shah Rukh Khan’s son AbRam is the cutest star kids we have in B-town. Fans literally wait for SRK to share the pictures of the adorable munchkin. King Khan’s younger child is a star on the social media as his pictures take the internet by storm as soon as they are shared. Mommy Gauri Khan recently shared a cute picture of AbRam where he can be seen flaunting his ride. The popular interior designer captioned the pic with, ‘’ My Knight Rider ..flaunting his ride’’. The little star is wearing a Kolkata Knight Rider jersey with red shorts. Interestingly, KKR is the IPL team owned by the ‘Kal Ho Na Ho’ actor himself. My knight Rider ...❤️ flaunting his ride. People on Instagram are already gushing over the picture and some have even commented that AbRam has set up the mood for the new season of IPL. We have already seen the father and son duo in the stadiums during IPL matches cheering up for KKR. A ray of sunshine... A sea of love... Thank you all for the happiness you bring every year! The ‘Baadshah’ of Bollywood is currently busy with his upcoming film ‘Zero’. The Anand L Rai directorial also stars Katrina Kaif and Anushka Sharma in lead roles. The ‘My Name Is Khan’ actor is playing a dwarf in the much-awaited movie that is slated to hit the screens on December 21.